I love the Produce for Kids Power Your Lunchbox Pledge (PYLP) because it makes me consciously think about the food choices I’m making for my son’s lunch and beyond everyday. I can choose to give him the quick and easy meals, OR I can provide him with the delicious nutrition his brain and body need to make First Grade amazing. Plus, it’s a wonderful opportunity to give back at the same time. Crispy Green is one of the delicious sponsors this PYLP season, and these little packets of freeze dried apples are DIVINE for snacking! The perfect crisp of a chip and the simple sweetness of an apple, I knew I just had to use these in a recipe. And so, the Apple Chip Nachos Snack was born. 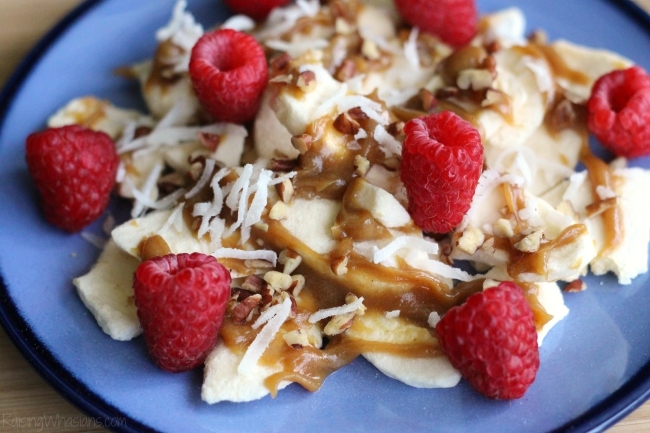 Power up your healthy after school snack game with these delicious apple chip nachos! 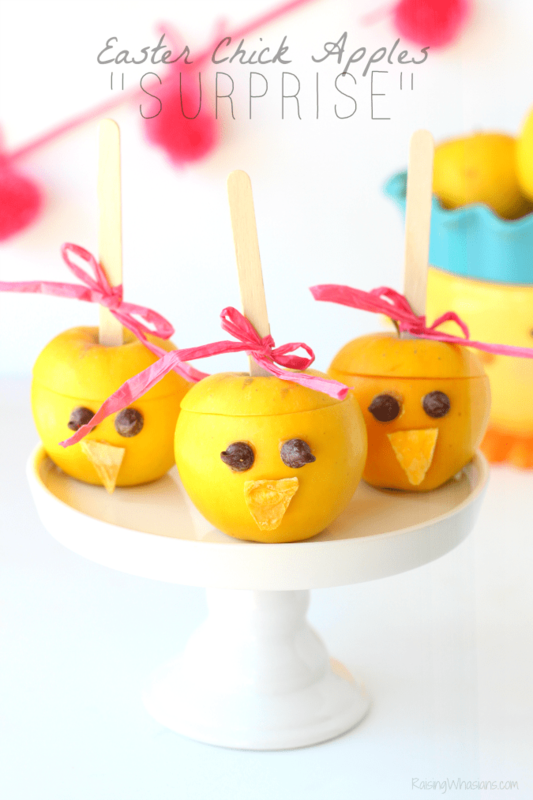 Gluten free and full of protein, your kids will enjoy a mouthful of flavor in every bite! Place your apple chips on a plate. 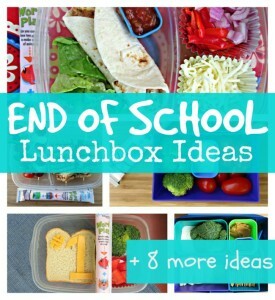 Head over to PowerYourLunchbox.com now through September 18, 2015. 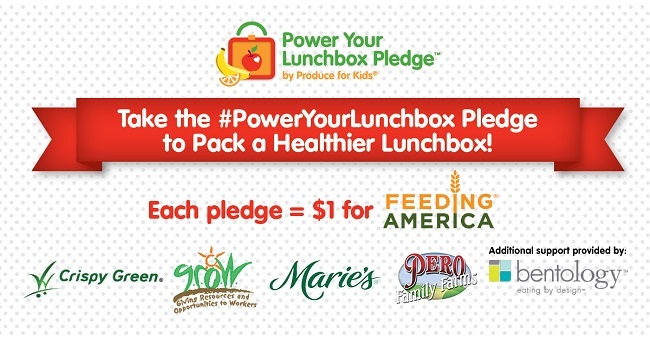 Take the Power Your Lunchbox Pledge to pack a healthier lunch. Show off your healthy lunchbox and WIN! Tag your healthy lunchbox with hashtag #PowerYourLunchbox on Instagram and Twitter to be automatically entered to win weekly prizes and have their lunchboxes featured on the Produce for Kids Facebook page. Prizes include Bentology boxes, grocery store gift cards and more. Feel empowered that you are creating healthier choices for your family AND for America’s kids! The goal is set high for this year’s PYLP campaign, with 10,000 pledges. With 3,000 pledges made so far, I know that we can do more! More than just the pledge, the Power Your Lunchbox Pledge website is filled with tools and tips for your family this school season. Get information for eating healthier lunches, after-school snacks, and weekday dinners with recipes inspired by Eric Carle’s popular literary characters including The Very Hungry CaterpillarTM, Brown Bear, The Very Grouchy Ladybug and The Very Busy Spider. YUM! How do you pledge to power your child’s lunchbox this school season? this looks & sounds so good. This recipe looks so good! What a wonderful campaign. This recipe looks yummy! Kids will love it. We started over the summer eating healthier choices. This year no junk at all and I will try to make new fun this like this! Thanks! What a neat recipe!! Very creative!! They look great!! These look delicious and healthy! I will have to give them a try next time I am tempted with chips! These nachos are so different They look so yummy. My daughter would like this. I am going to make this..
Great recipe I love to include fresh fruit in my son’s lunch. What a great recipe. I love that it is easy to make and doesn’t take a lot of time. I know my grandchildren will love it. I pledge to power my grandson’s lunch box this year by fixing him more proteins, fruits and veggies for his lunch. 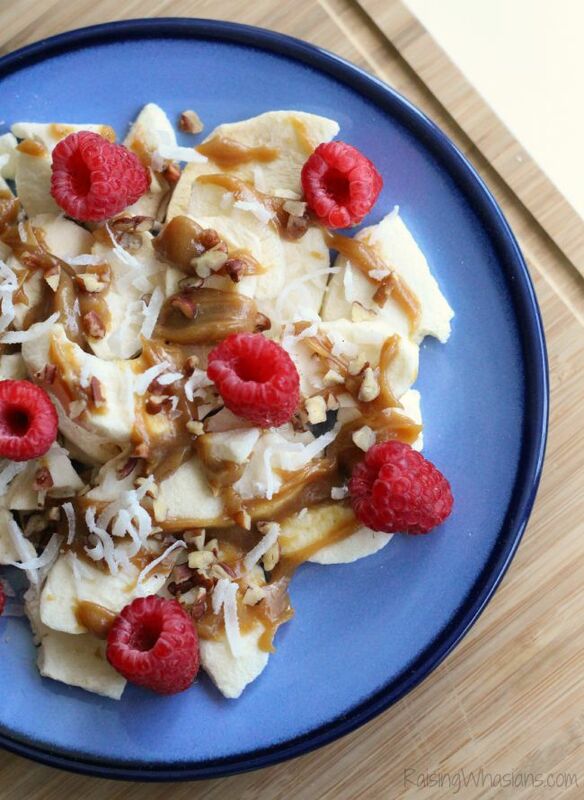 This recipe is one he could have for breakfast, lunch or as a snack. Thanks for sharing! The recipe sounds and looks so yummy! I will take the pledge also! Yum! I love apple chips, and this looks so delicious. I definitely need to give this a try. Thank you for sharing this recipe. I love apple chips but would never had thought of making them nacho-like. 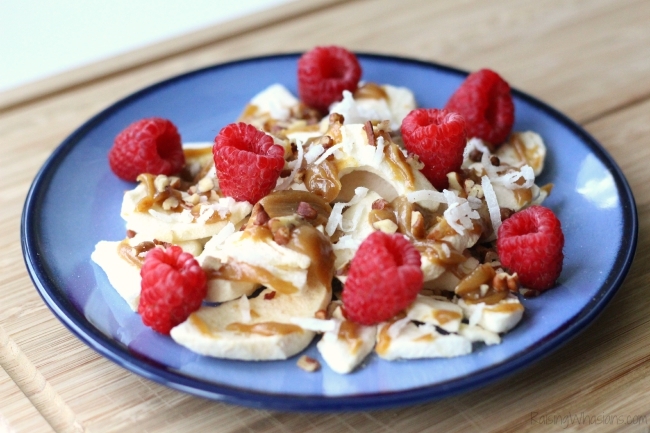 The mixture of peanut butter, honey, and raspberries sounds delicious! This looks yummy! I love the caramel drizzle on top. I am a huge nachos fan but this is a totally new delicious looking twist! This would be a nice healthy snack for,an after dinner treat!!! Oh my…this looks yummy and fun! I’ve never seen a recipe quite like this…looking forward to trying it! Interesting combo, I really like apple chips. My daughter’s entire school gets free breakfast and lunch. 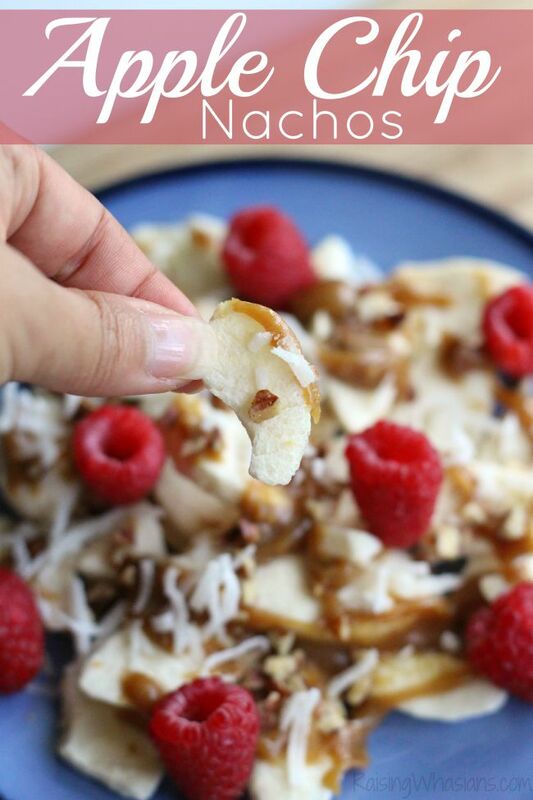 The apple chip nachos sound like a perfect after school snack! Those look so delicious I might prefer them over regular nachos. I love this Apple Chip Nacho recipe. I intend to try this for my grandchildren. I think we will all enjoy it! I wonder if you could substitute almond butter for peanut butter? Sounds delicious nonetheless. Mmm, have you thought of cinnamon in the peanut butter mixture? This looks good. I love fresh raspberries. A nice healthy alternative – great, especially for this fall weather. 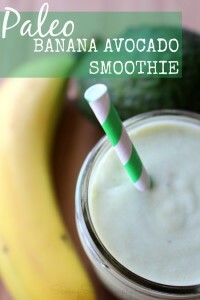 This would be so tasty and perfect for snack time and much healthier than chips. This recipe looks so yummy. I can’t wait to serve it at our next family get-together. These look amazing, my daughter would love them! Thanks for sharing! You had me at nacho….this looks so good (and pretty) and I can’t wait to make it (and stare at it lol). Thanks for stopping by, Michele! Hope your apple chip nachos are just as delicious! This looks delicious, can’t wait to try it with my son. Oh wow…this dish looks really tasty, and it’s pretty different. I would like to try this one of the days. This recipe looks neat and good! Like to take the pledge! 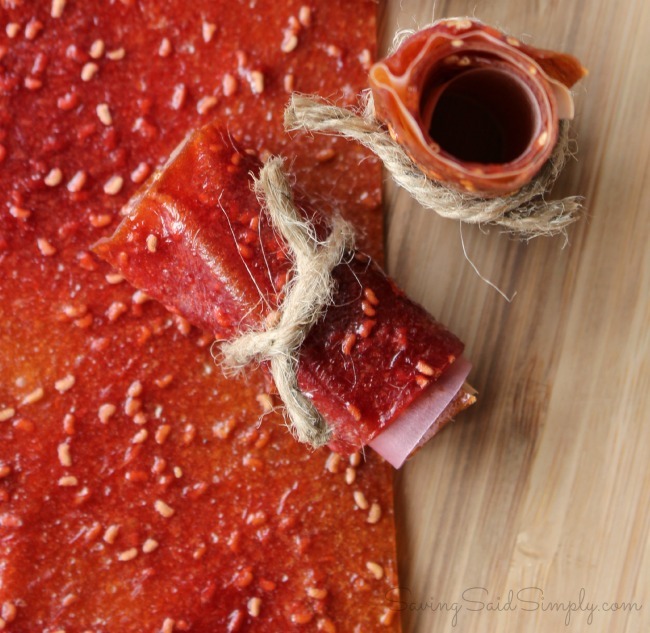 Good snack for kids as well as grownups! I have a bag of apples I was pondering how to use when I read this healthy recipe! Thanks for sharing! This looks really good! I clicked on it because I love nachos, and actually even though its not your typical nacho really want to try it. Looks like a great healthy snack! These look amazing! 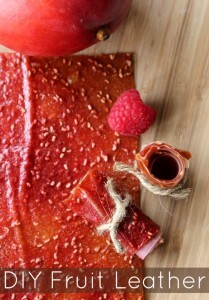 I need ways to increase the healthiness of sweet snacks around here, so I’m definitely going to make these!